Most user interfaces have been studied based on hand gestures or finger touches, but the interface using the user’s hands does not reflect the user’s various situations. In this paper, we propose a hands-free user interaction system using a thermal camera. The hands-free interface proposed in this paper exploits user’s breath heat and thermal camera, thus it is very useful for users who have difficulty in using their hands. In addition, the thermal camera is not affected by background color and lighting environment, so it can be used in various complex situations. For hands-free interaction, the user creates a residual heat on the surface of the object to interact, and the thermal camera senses the residual heat. This paper has observed that the residual heat from breath is most suitable for the interaction design. For this observation, several different methods were tested for how to generate strong residual heat on the various materials. According to the tests, it was verified that the residual heat generated from breath with hollow rod (straw) is most stable for sensing and interaction. 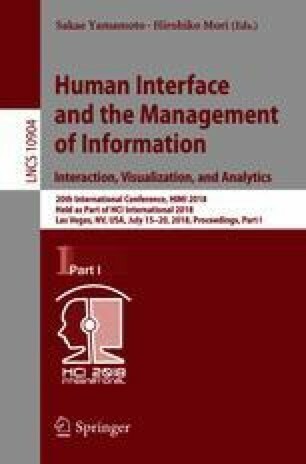 This paper demonstrates its usefulness by implementing an interaction system using camera projection system as an application example.